We have built key partner networks with the most trusted brands in the Cloud Computing industry. We have helped our customers realise positive business and operational outcomes through Cloud based infrastructure and services. 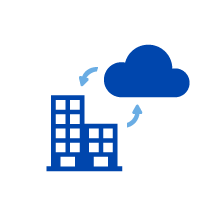 Our chosen partners AWS and Azure have enabled us to tailor solutions to each specific need whether it be for your Dev, Prod or DR environment we are able to assess and propose a solution that meets your business needs as well as your budget. Private Cloud infrastructure break down and suitability. One main advantage of private cloud infrastructures is that they are usually more secure than alternatives, since the organisation’s data is tightly secured and controlled on servers that no other company has access to. The servers can either sit within the network boundaries of your organisation, with those servers managed and maintained by your internal IT staff, or they can be located within the data centre of a cloud service provider. You access the data stored on the servers via private and secure network links. Public Cloud breakdown and benefits. 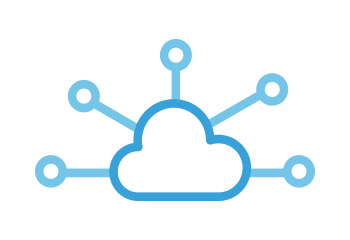 A public cloud is where we make available applications, data storage capacity and other resources to organisations or the general public. Some of the public cloud benefits are that it is scalable, cost effective, pay per usage, flexible. A great option for small businesses that do not need to worry about certain industry regulations. Public cloud is also great for development and testing teams. Hybrid cloud is a computing environment which uses a mix of on-premises, private cloud and third-party, public cloud services with orchestration between the two platforms. By allowing workloads to move between private and public clouds as computing needs and costs change, hybrid cloud gives businesses greater flexibility and more data deployment options.